Kohei Musha, Naoki Yaso, Musha Design Project Co., Ltd. 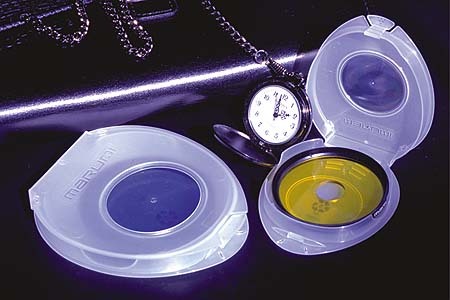 This filter case is designed to solve difficult issues such as "keeping filters still inside" and "making it possible to open by single hand when changing the filter." It can be easily opened by single hand due to the hinge hook system and the unique egglike form. The inner rib structure keeps the differing filters still without any buffer. Although it is made of PP resin, filters can been seen through the transparent window realized by making the body so thin. It is protected from scratches and shocks with special coating on the surface. The inner rib structure supports the user to put the filters in order, and also the case can be set upwards after then.